Joe Biden reportedly looking into a presidential run. 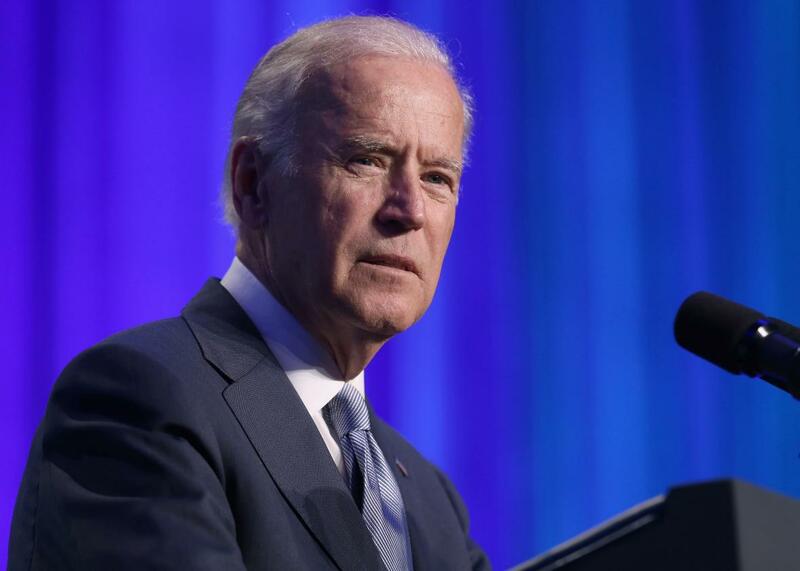 Vice President Joe Biden addresses the 10th annual Make Progress National Summit at the Walter E. Washington Convention Center on July 16, 2015 in Washington, D.C.
Vice President Joe Biden may be getting ready to run for president. Or maybe not. At the very least, long-standing Clinton-hater Maureen Dowd has pushed political observers to start speculating again. The New York Times columnist pulled at the heartstrings in her column this weekend, saying Biden’s son Beau Biden told his dad to run shortly before his death in May. Now several news outlets, including both the New York Times and the Associated Press, published articles speculating about whether the vice-president was getting ready to try to become the oldest president ever elected to a first term. Insiders insist there’s more to that statement than Dowd being her usual Clinton-bashing self. After all, she’s hardly the first to raise the possibility recently. On Thursday, Fox News’ Ed Henry reported Clinton aides were getting increasingly nervous about a potential Biden candidacy. The increased chatter, some Democrats say, reflects the growing concern about recent polls showing Clinton’s support among independents declining. Plus, the way Vermont Sen. Bernie Sanders has been attracting large crowds is being described as “evidence of a hunger within the party for an alternative to Clinton’s candidacy,” notes the Associated Press. So far though, “Biden has done little to lay the groundwork for a possible challenge to Hillary Clinton and the rest of the Democratic field,” points out CNN. If Biden does decide to join the race, it would be a difficult battle considering Clinton has already raised nearly $50 million and much of the party is excited about the possibility of electing the first woman president. Aides say they expect Biden to make a final decision by September.